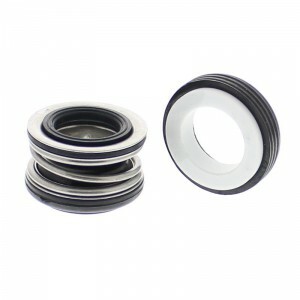 The standard issue shaft seal is made of two parts; the white ceramic seat with a rubber sleeve and a stainless steel spring with cuff lined with a rubber sleeve called the head. The head has two sides, the bottom which is metal and sits against either the impeller or in the seal plate. The other side is a black plastic or carbon ring that contacts the ceramic side to form a watertight yet virtually friction-free spinning seal. This allows the shaft to spin freely but stay bone dry. When should I change a shaft seal? We recommend replacing the shaft seal during any motor replacement or if there is sign of leakage. 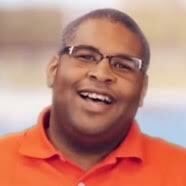 If you wish to be extra careful and you winterize your pump, we suggest replacing the shaft seal at the start of every pool season. Why should I change the seal? Let me answer that question with a question of my own: do you like replacing $200 pump motors every few months? I very much doubt it. If we do not change the seal when replacing the motor or immediately after noticing a leak, that scenario is likely to happen. Think of coupling a new shaft seal with a motor replacement as an insurance policy.The new seal provides peace of mind as well as protection for the new motor. A $15 part that protects a $200 motor is the best insurance deal I’ve ever heard. A shaft seal can also play a part in warranty claims. A.O. Smith/Century motors have a 1-year warranty that covers manufacturer’s defects but does not cover installation error. One sign of installation error is this white whirling we see in the picture to the left. The whirling is residue from water that has breached the shaft seal and begun to seep into the motor. A simple trickle from the shaft seal can lead to bad bearings. If you have not had the pleasure of hearing the screeching of a motor with bad bearings, consider yourself lucky. When the banshee scream of a bad bearings is heard it is only a matter of time before the motor will fail or freeze up. That would leave you with no motor and no warranty to replace it. The shaft seal is under immense pressure while installed. If you don’t believe me, let me run through some numbers with you and we can see what this little guy is up against. If those numbers make you dizzy, how do you think the seal feels after a long day? That is just one day, multiply that by a short 5 month swimming season and that is at least 2.5 billion revolutions. After looking at the numbers, I hope you can better understand why we may plead for you to replace the shaft seal when installing a new motor. If your big 30 pound motor died on you, that small seal that is being put through the same paces is likely needing a replacement as well. Protect a motor and your wallet, get a pool pump shaft seal replacement. How to replace my shaft seal? 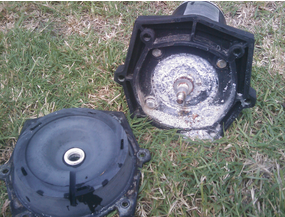 Look no further than our own How to Guide and video: How To Replace a Pool Motor Shaft Seal. It is not the easiest of operations but for the handy homeowner it should be simple enough to save money on a service call. If you have any further questions, please give our techs a call at 877-372-6038.